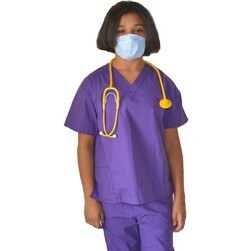 Your little one will pass for a real Nurse wearing our Exclusive Kids Nurse Costumes. 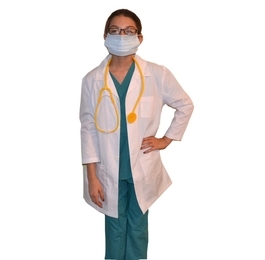 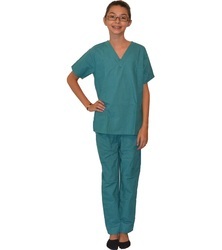 They are made with REAL Lab Coats or Scrub Sets not inferior "Costume Quality" products like our competitors sell. 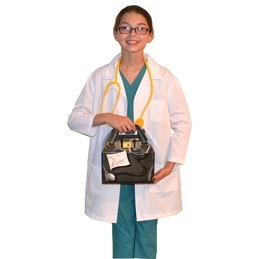 We have a large selection for your Little Nurse, some of our costumes include a Doctor Bag Gift Box and real working Stethoscope. 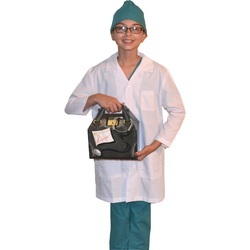 Personalized Embroidery is available on all items which will truely make it a gift to remember. 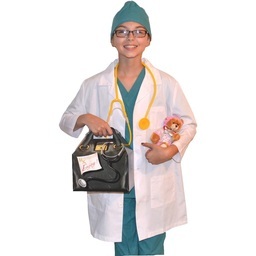 All Costumes are Unisex for both Girls and Boys.